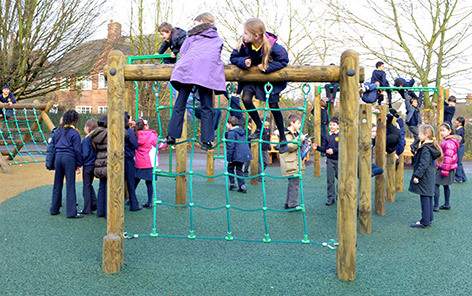 Playground safety surfacing is required under the BS EN 1176 regulations under some equipment to help reduce the risk of accidental injury. 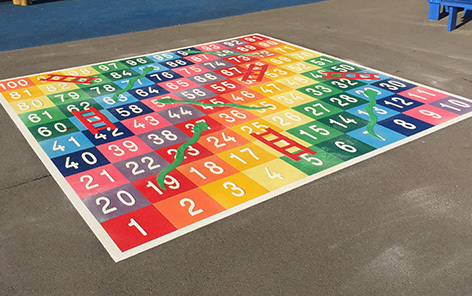 We provide many choices of surfacing and flooring making it possible for you to choose one perfect for the surroundings and setting of your school. Please see the information below to find out if the new equipment in your school will need playground surfacing. 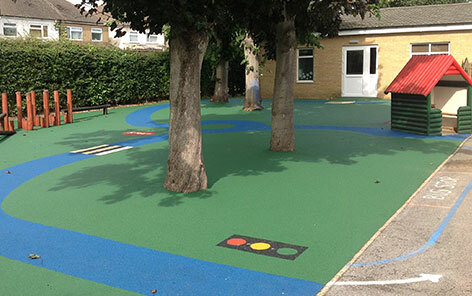 As well as safety all types of surfacing can be used as pathways to reduce wear and larger areas can be created to provide all weather play opportunities. Safe and Fun for all. 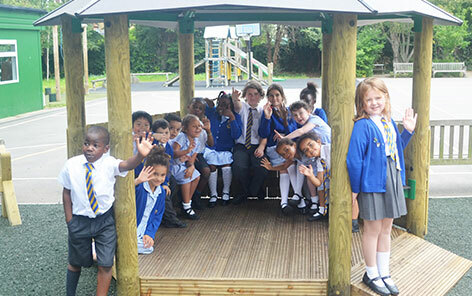 Here at EPE we are committed to providing fun, educational environments and to making them safe for all children to enjoy the benefits. 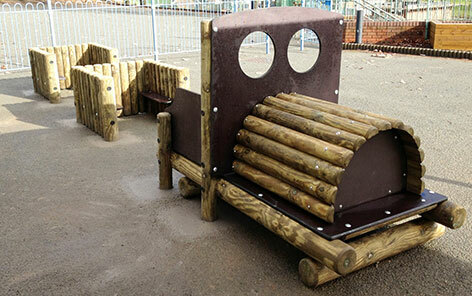 This is why we offer an extensive range of outdoor safety surfacing and flooring. Installing into Grass? Surfacing needed if equipment free height of fall is 1.5m or more (subject to a risk assessment). 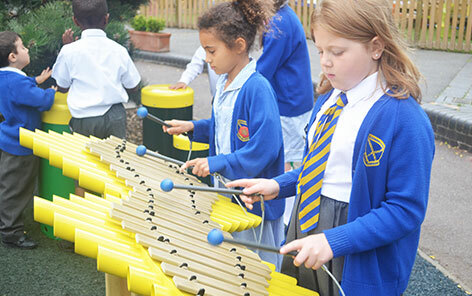 Due to each school requiring different playground surfacing options and amounts our dedicated team are happy to discuss each option with you to find out what is best suited to your needs.